The most common injuries in a Miami premises liability case come from the slip and fall. A slip and fall accident is just what it describes – the plaintiff trips, slips, and falls on a hazard that was present because the property owner failed to clean it up or provide a warning as to its existence. You may have a property or premises liability claim if the property was not in a safe condition, which resulted in you being injured. If the property had a dangerous condition and the owner or landlord knew or should have known about the dangers, if there was enough time to repair the condition but the repairs had not been conducted, or if there was no warning issued to the public, you likely have a Florida premises liability claim. You should contact our Miami Slip and Fall Accident Lawyers today for a free consultation. Just call the Wolfson Law Firm at (305) 285-1115. Herniated disc where the disc actually breaks through and impacts the spinal cord. The problem with back injuries is that they often are much more severe than they may first appear. You may go to the emergency room with back pain, only to find out months later that you will need fusion surgery – a procedure that joins together certain bones in your back. You may need physical therapy or frequent and repeated visits to the doctor. There is always the possibility that you’ll have pain for the rest of your life. Unfortunately, that means piles of medical bills. Additionally, your injuries or pain may be so debilitating and regular that you might not be able to work, only adding further stress and frustration to your life. Our Miami slip and fall lawyers can help you. Broken bones sometimes require surgery. A common surgery for fractures is called ORIF which means Open Reduction Internal Fixation. Many times fractures are casted or splinted to allow for healing. As the bone heals, muscle atrophy can set in the area that is immobilized. Atrophy is a wasting away of muscles. The atrophy is temporary in most cases when someone has a cast applied. Part of the recovery from a fracture includes physical therapy to begin the road back to full function. Our Miami slip and fall lawyers document your recovery so that they can present it to the insurance company or a jury as part of your case. Closed Head Injury – When the head strikes against an object. A concussion is a type of closed head injury. Penetrating Head Injury – When an object breaks through the skull and enters the brain. In these cases, the object is usually moving at a high rate of speed. 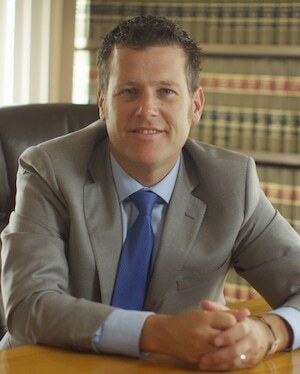 The Wolfson Law Firm personal injury attorneys are aggressive in their representation of injured people. Our lawyers will go to court and, if necessary, fight for you in trial. Jonah Wolfson is a bilingual personal injury attorney in Miami and is available to speak to you now. If you or a loved one is seriously injured in a Miami slip and fall, trip and fall or premises liability accident, then you should call the personal injury attorneys at Wolfson Law Firm. We are located at 3399 SW 3d Avenue in Miami and we have been helping injured people for over 60 collective years. You can call us right now at (305) 285-1115. The Wolfson Law Firm represents people with slip and fall injuries in Hialeah Gardens, Miami Lakes, West Boca, Miramar, Allapattah, Miami Shores, The Roads, Palm Beach Gardens, Florida City, Westchester, Princeton, Overtown, Fisher Island and other cities throughout South Florida.